“Above and beyond” is a way of life here. Investing into each client, developing a deeper level of trust, and going the distance ... makes all the difference in the world. Above and beyond is a way of life here. With us, it’s personal. At Murphy Austin, we place the highest value on meaningful client relationships. We believe that the relationship and the level of trust you have with your attorneys makes a radical difference in the highly personalized service you can expect from us. Read more. 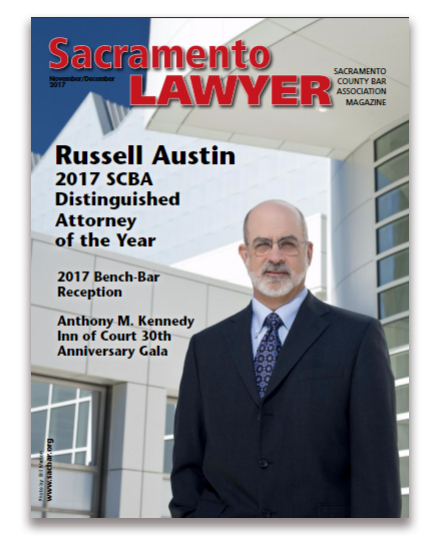 Click here to read aricle in Sacramento Lawyer Magazine, pages 18-21. Murphy Austin is one of the top firms in Sacramento and one of the firms people look to first when searching for employment. The Construction Law Team at Murphy Austin Adams Schoenfeld LLP, located in Sacramento and one of the premier construction litigation practices in California, works on significant and complex contract-based construction litigation matters throughout California. We are looking for an associate attorney to join our team with 3-7 years of civil litigation experience and a proven record of high academic achievement. He or she will also have a strong understanding of client customer service, a commitment to meeting client expectations and deadlines with high-quality work product, and enjoy working in a fast-paced, team environment. Excellent interpersonal skills and outstanding writing and analytical skills are required for this position. The candidate must also have substantial experience drafting pleadings, drafting and responding to discovery, legal research and motion practice. Construction law experience is desired, but not essential. Murphy Austin offers a competitive salary and benefits package, an associate bonus package, a professional development program, and a mentoring program. We request that exceptionally well- qualified candidates send a resume, a law school transcript, and writing sample(s) that demonstrate your writing to: Joelle Stone at jstone@murphyaustin.com. Murphy Austin Adams Schoenfeld LLP is looking for an attorney with 3 to 6 years’ experience in litigation to join our collegial and team oriented practice, focusing on business litigation matters and labor and employment. Who is Murphy Austin? We are a mid-sized firm that strives to build meaningful and lasting relationships with our clients and their businesses. In order to further this goal, we hire attorneys who have a passion for what they do and who are driven to be of service to others, including their clients, their community, and other members of the firm. Many of our attorneys started at large firms but eventually realized that bigger isn’t always better and that there are significant advantages to practicing at a smaller firm that can be nimble and not get bogged down in bureaucracy. 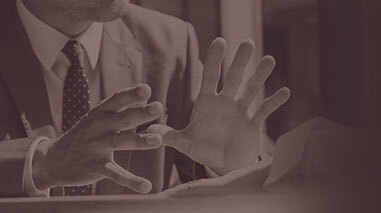 Murphy Austin’s attorneys are highly respected and sought after by the region’s top businesses and we recommend that you examine our website for the recognitions we have received. We seek an associate who shares our goals and has the top tier skills necessary to achieve the results that our clients have grown to expect. We believe that associates excel when they are involved in cases in a meaningful way from beginning to end. The successful candidate will practice in a collaborative environment where an associate/partner team approach allows the associate to be given substantial responsibility and to provide input on all aspects of the case. Murphy Austin offers a competitive salary and benefit package as well as an associate bonus program. Qualified candidates should send a resume and writing sample to Joelle Stone at jstone@murphyaustin.com or to 555 Capitol Mall, Suite 850, Sacramento, CA 95814. The estate planning group at Murphy Austin Adams Schoenfeld LLP, located in Downtown Sacramento, works on interesting, meaningful and complex trust, estate and gift tax matters. We are looking for one or more experienced associate or partner-level attorneys to join our group. The successful candidate will have at least 5 years of experience in the field and a record of high academic achievement and be licensed with the California Bar. Probate court experience is a plus. Any candidate is expected to have aspirations of, and an aptitude for, building a book of business. A partner-level candidate would be expected to have a meaningful and portable client base. We are looking for logical thinking, project oriented lawyers to assist in matters from beginning to end. Excellent interpersonal, writing and analytical skills are required for the position, and a strong candidate will understand client service and our commitment to meeting expectations and deadlines with high-quality work product. The attorney can expect to work with and alongside partners, associates and paralegals in a team environment. The candidate should be capable of drafting wills, trusts, estate plans and similar documents with no more than minimal to moderate supervision (depending on the complexity of the project). They should also be capable of managing staff and interacting directly with clients. Tax or accounting knowledge outside the basics of estate planning are not required, but certainly a plus. Murphy Austin offers a competitive salary and benefits package (health, vision, profit sharing, etc. ), an associate bonus plan, a professional development program, a mentoring program and a full-time Marketing Director to help you achieve your business development goals. Exceptionally well-qualified candidates should send a resume, a law school transcript to jstone@murphyaustin.com.